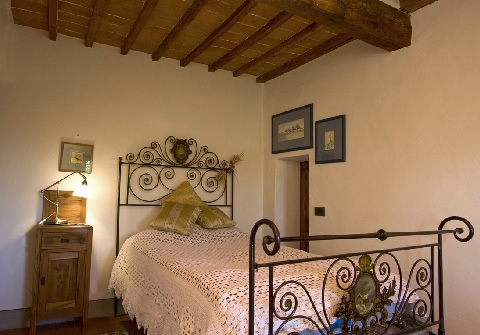 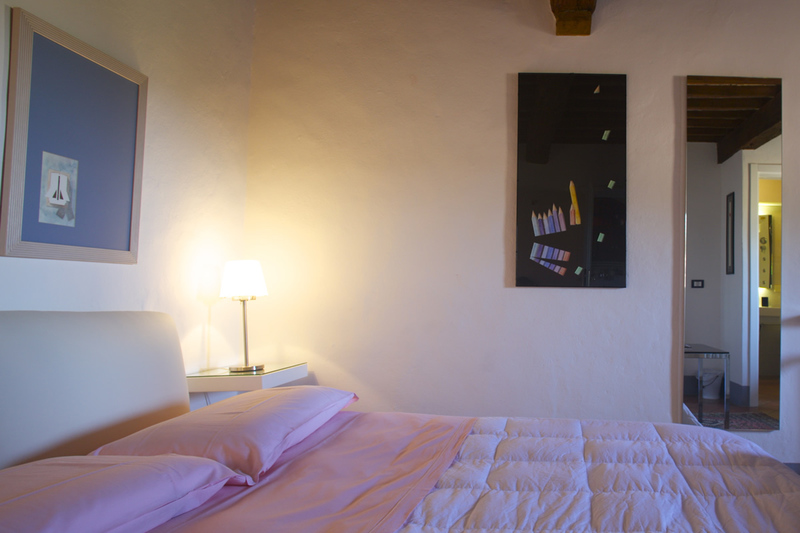 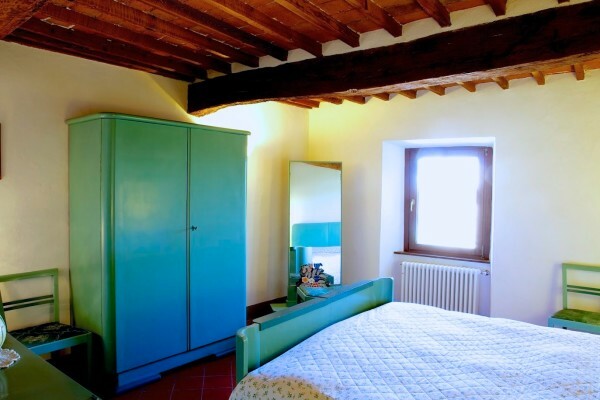 The BLUE room is a very nice bedroom with double bed, confortable mattress and latex pillows, ceiling beams, wide window overlooking the Val d’Orcia and the roofs of the houses. 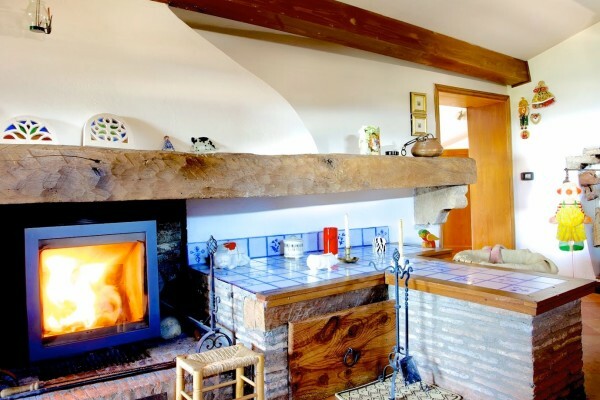 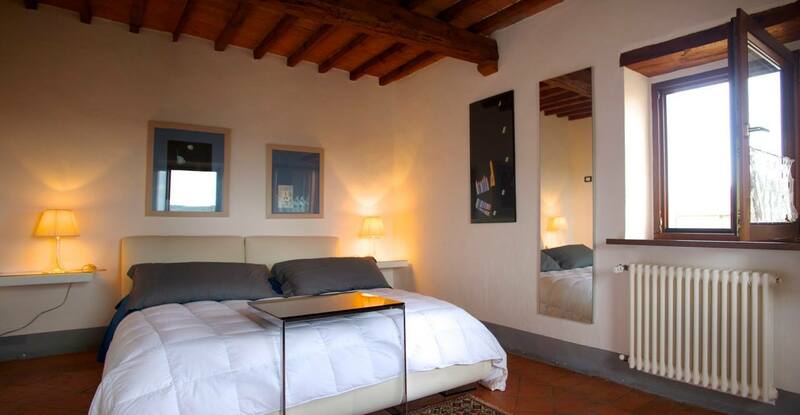 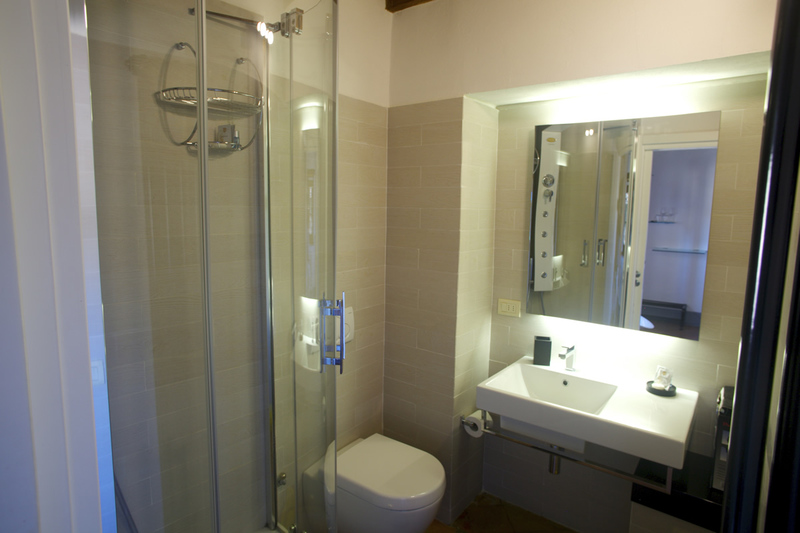 Has a private bathroom with Jacuzzi shower and two windows overlooking the beautiful Val d’Orcia. 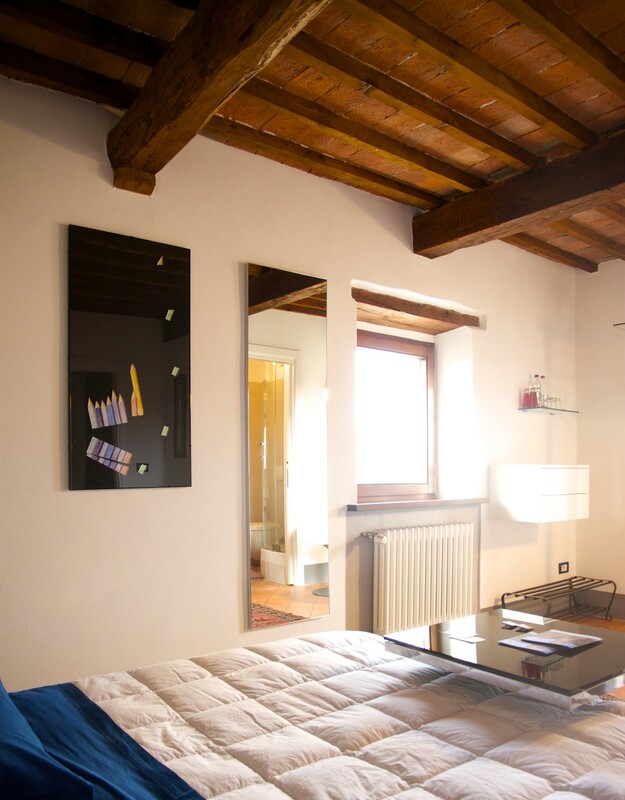 The walls are soundproofed with natural cork coating, all these detail make the room cheerful and relaxed.